BaxTek Solutions has constructed a TOTAL SOLUTION PACKAGE enabling food producers, processors and retailers to bring their current traceability efforts to the next level while simultaneously making a profit center out of a cost center. BaxTek Solutions will participate in the design of the project, the integration of legacy systems, implementation of the new applications, and remote management of devices deployed into the field. Choosing BaxTek Solutions will provide the most efficient use of time and money for your “Track and Trace” implementation. 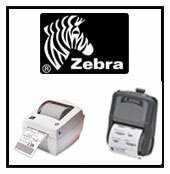 Making use of new barcode technology can be daunting. But one call to BaxTek Solutions can provide you answers to all of your Traceability needs. All other services Include First Class Customer Support, Expert Installation, Programming, and Consultation.